i. To develop a new bore for clean water and secure a sustainable future for the school, including paying for teachers, school fees and uniforms for the students. ii. To assure sustainability for the project vegetable gardens and a shop have been developed and students and teachers have been to care for these for the school and the community. It has gone beyond that: A new house has been built for the teacher. The local people, having seen the success of this project to date, now wish to increase their own productivity with crops and improve their land and make steps towards their own sustainability. As a part of the vision, a partnership has been developed between the Sorrento Primary School and Mambanje Primary School, giving children from both schools an opportunity to learn from each other. 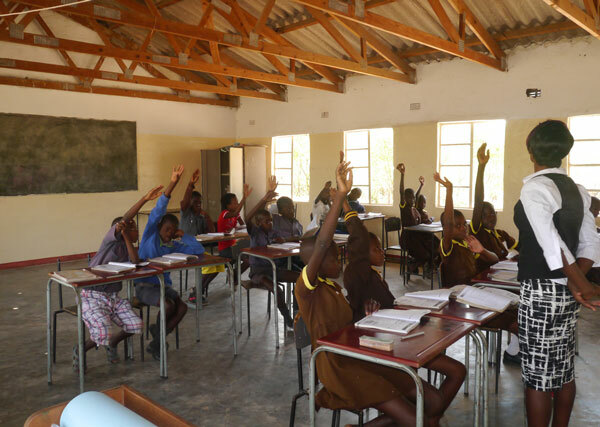 The children from Sorrento school regularly have fundraising to assist the Republic of Zimbabwe school.